Bubling with confidence and perceived surge in public acceptability, the Adamawa State gubernatorial candidate of Peoples Democratic Party (PDP), Alhaji Ahmadu Umaru Fintri, kicked-off his electioneering by unveiling some 11 points programme of action if elected. Finitri, a former acting governor, declared that first on his agenda would be to revive the comatose economic position of the state, followed by addressing the security and other challenges militating against Adamawa as a result of pitiable governance. Flanked by members of PDP executives and other eminent stakeholders during a world press conference he addressed at the Atiku Abubakar Youth Support Group campaign office, Finitri said his campaign organisation would soon distribute the details of his 11 points agenda.He added that the full blueprint will focus on human development, infrastructure, economic empowerment of women and youth, security of lives and property, improved internal revenue generation among others, stressing that the entire programme is targeted at rescuing the state from total collapse. The PDP standard bearer added: “You will agree with me that since the inception of the current administration, our state has been consistently, some would add, irredeemably retrogressing. Fintri said it was obvious that the masses have loss interest and confidence in the activities and programmes of the current administration in Adamawa State, stressing that most senior citizens are pained by the privatization of the affairs of the state. He lamented that some officials are doing things as they please despite the fact that they are charged with the constitutional responsibility and oath of office to be fair and just to all. However, he promised to make a difference saying, “With my track records and my legacy of commitment to service, I will endeavour to lead my team to set our dear state on a path of success, to overcome the challenges if you accord us the opportunity. 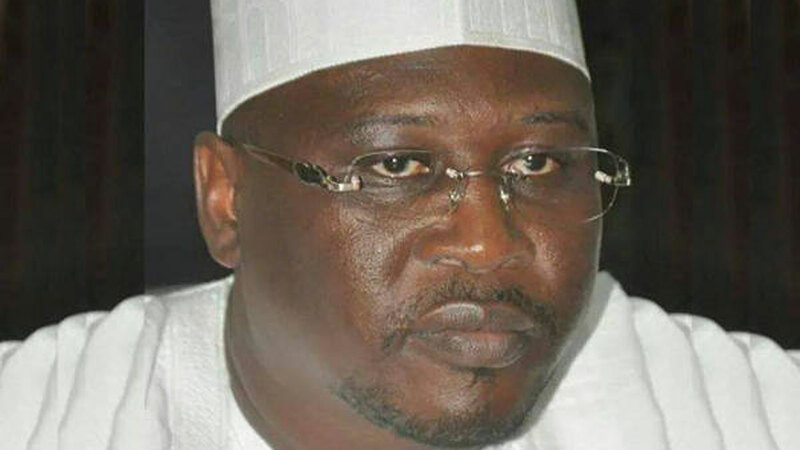 The PDP governorship candidate, who expressed the confidence that he would win the governorship poll with the general support of Adamawa people, also noted that his government will ensure that citizens of the state live peacefully as one indivisible entity with the common target of developing the state to the benefits of all. “I urge our people to collectively continue to uphold the principles and values of our fore-fathers. We should continue to imbibe the principles of tolerance, patience, forgiveness and cooperation, which we are known for. Let us harness our common values, celebrate our differences and find strength in our diversity,” he declared. While urging the electorate to invest their confidence in him, the PDP guber hopeful promised them huge democratic returns on their investment in terms of good governance, as well as protection to the interests of generations yet unborn. But Finitri’s expansive statement of intention comes against the background of deepening crisis within the fold of the ruling All Progressive Congress (APC) in the state. This is because some aggrieved members have dragged the party to court, vowing to retrieve their mandate illegally allocated to strangers. 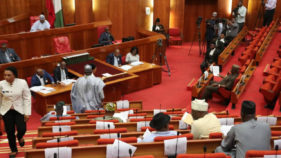 At the Federal High Court, Yola, which was filled to the brim, the APC House of Assembly aspirant for Madagali constituency, Alhaji Yusuf Mohammed, joined the Independent National Electoral Commission (INEC) in his suit praying the court to retrieve his mandate allocated to Mr. Emmanuel Tsamdu and order its return to him without any form of harm or violation. 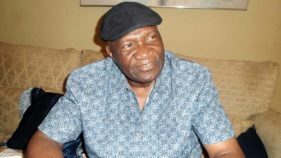 When the case was mentioned, counsel to the plaintiff, Abayomi J. Akonmade, asked the court for an accelerated hearing into the matter since, according to him, time is of the essence in the pre-election matter.Counsel to APC, who is also the party’s legal adviser, Mr. Shagnah Pwamaddi, contested the position of the plaintiff, arguing that the request by his senior learned colleague was subject to the court’s discretion. 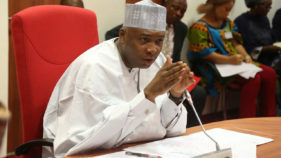 The Presiding judge, Justice Abdullaziz M. Anka, warned counsel to the parties not to employ delay tactics, just as he adjourned the case for hearing on January 10th, 2019.Counsel to the plaintiff, Akonmade,who briefed journalists shortly after the court session said his client (Yusuf) won the primaries, which Tsamdu did not participate and his name was forwarded to the national secretariat of APC for onward submission to INEC, only for a different name to be surprisingly published. Surprisingly, when contacted, counsel to APC and Tsamdu he did not deny that Tsamdu contested for House of Representatives seat and not House of Assembly. Rather he decline to make further comments saying that the court should be allowed to determine the owner of the ticket.The situation in Adamawa State as it concerns both APC and PDP would be of interest as the country nears the 2019 election date.